What games do we have for the Nintendo Switch? Super Mario Odyssey is a very good videogame. How have we used the Switch’s portable and docked functionalities? What do we think of the Switch’s controls, including HD Rumble? What are some questions and misconceptions about the Switch that we can clear up? What Switch and non-Switch videogames have we been playing this month? And much more! 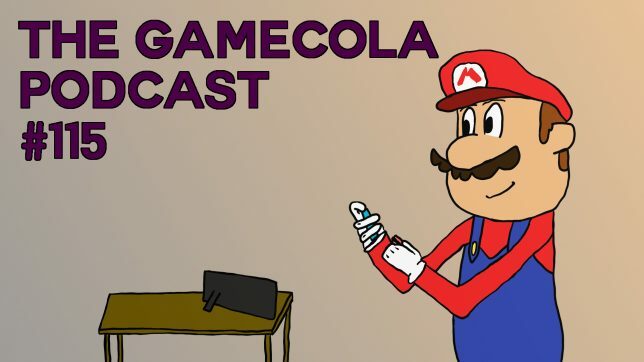 Be sure to check out GameCola on Facebook, YouTube, Twitter, Twitch, and iTunes. You can also ask us questions at those locations or at our podcast email, podcast[at]gamecola[dot]net! Listening to an Odyssey filled podcast, while drawing Odyssey fan art? Count me in! Why is it that only our single staff members play dating sims?